At one time or another, you may feel like you are about to hit a wall. As the caregiver of an aging parent, the stress of caregiving can be emotionally and physically exhausting. This is a tremendous responsibility fraught with emotional hurdles, financial pressure, health concerns, and uncertainty. It’s no wonder many family caregivers will face burnout at some point. How do you deal with balancing your personal life, work, children, and caring for a parent? At Aegis Living, we understand the patience and energy that it takes to be a full-time caregiver. We’ve hired a host of skilled staff with expertise in managing the unique challenges of caring for an older family member. Our communities are set up to support our senior residents with all the comforts of home. If you are feeling over-stressed, there are options to make sure your loved one is cared for and gives you the relief and break that you may need. Respite Care. If you need a much-deserved break or if you are leaving town and need a temporary place for your mom to stay while you are gone, respite care can be your solution. Respite care allows for your mom to stay at one of our communities on a temporary basis. She will stay in a well-appointed private apartment for her very own “staycation.” During her time with us, she will enjoy fine dining, luxurious amenities, enriching activities, and newfound friendships. 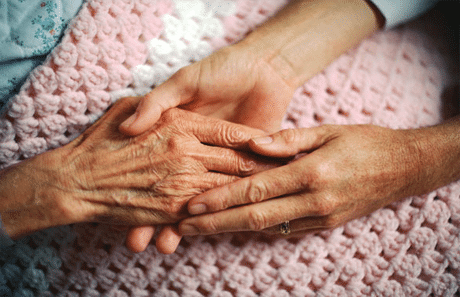 A short-term stay is also helpful to provide extra assistance after your parent has been discharged from the hospital. This will give them additional time to heal. Some family members enjoy their stay so much that they choose to move into a community. Our trained staff will care for your mom as if she is a permanent part of our community. Although filled with joy and gratitude, caring for your mom can also be difficult at times. Don’t wait until you are at a breaking point to ask for help. Support is available. Visit an Aegis Living community near you to meet our staff and find a solution to fit your needs.